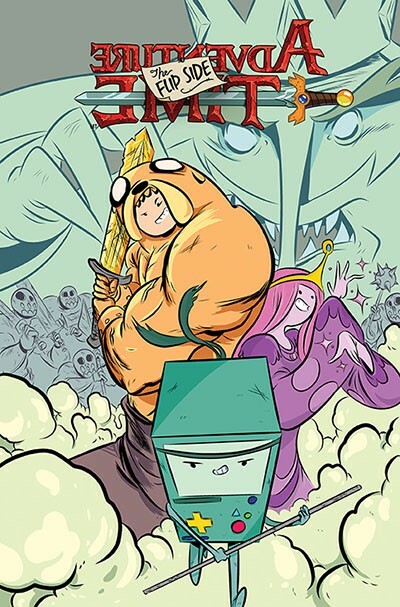 RICO’S PICK :: ADVENTURE TIME: The FLIP SIDE: There are a bunch of comics I’m excited about this week. Minimum Wage #1, Black Widow #1, and the conclusion of Fantomex are all worth a look. Adventure Time: The Flip Side features art by Wook Jin Clark (whose awesome OGN MegaGoGo comes out next month!) and it’s written by Paul Tobin and Colleen Coover. Check it out! I’m finally feeling the predict that Steven Universe and the Crystal Gem is now under teaching of the older Finn(with a one robotic arm).